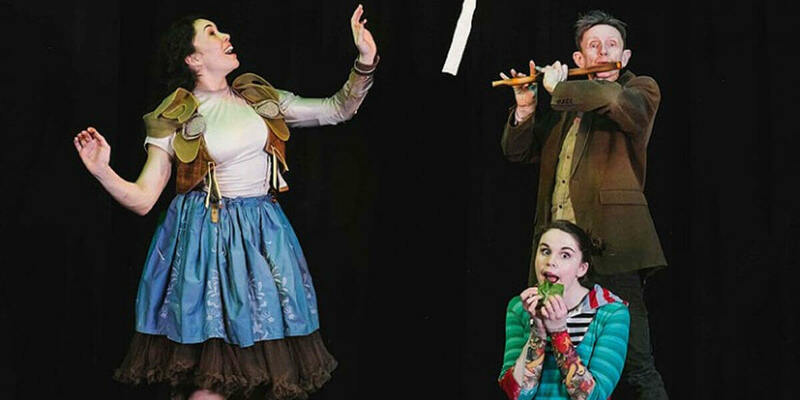 Fidget Feet Aerial Dance Theatre, in association with Siamsa Tíre, present an immersive aerial dance children's show for young audiences and their families, suitable for 4-8 year olds. Meet Bláithín, “she loves caterpillars, moths and butterflies”. Follow her on her adventurous journey with Uncle Rusty to find Pearl, the most extraordinary butterfly with the most exquisite colourful wings. Learn all about two little caterpillars and their journey to fly as butterflies and moths. Hatch is full of Fidget Feet's unique blend of live music, comedy, theatre, contemporary dance and aerial dance. Hatch also weaves craft workshops, Irish language and dancing into this wonderful story. If you enjoyed their other work for children, Elves and the Shoemaker and Strange Feathers, then you will thoroughly enjoy Hatch.